Now that Missouri has a Republican governor, that state's legislative body is trying again to pass its "Second Amendment Protection Act," legislation that would nullify most federal gun-control legislation. Last week, a Missouri Senate Committee held a hearing on that bill that would ban any person in the state, including any public official or employee of the state, from attempting to enforce any "acts, laws, executive orders, administrative orders, court orders, rules or regulations" that infringe on the right of Missourians to keep and bear arms as guaranteed by the Second Amendment. A similar bill that passed the state legislature in 2014 was vetoed by then-Democratic Governor Jay Nixon. Hopes are high that the state's current Republican governor, Mike Parson, will sign the new bill into law when it hits his desk. The bill, SB367, defines "infringement" as including, but not limited to 1) taxes and fees on firearms, accessories or ammunition; 2) registration of firearms and their accessories along with any other tracking schemes; 3) any act forbidding the possession, ownership, use or transfer of a firearm, accessories or ammunition; and 4) any act ordering the confiscation of firearms, their accessories or ammunition from law-abiding citizens. The bill's language is deliberately so broad that it would not only nullify "red flag" laws and the ATF's recent ruling against possession of bump stocks, but also the National Firearms Act of 1934 and the Gun Control Act of 1968. In addition, it removes any protection an employee or official of the state might otherwise have from being sued for damages by a citizen whose rights were violated by him or her. Fox News legal analyst Judge Andrew Napolitano noted in a recent television interview that a single state taking this step would make federal gun-control laws "nearly impossible" to enforce. If the Missouri bill being considered becomes law, Missouri would join Alaska, Idaho, and Kansas, which have similar laws already in place. As Michael Boldin of the Tenth Amendment Center explained, "Partnerships don't work too well when half the team quits. By withdrawing all resources and participation in federal gun control, states and even local governments can help bring these unconstitutional acts to their much-needed end." Missouri is riding the wave of nullification efforts being used by a number of states against U.S. Immigration and Customs Enforcement agents as well as the de facto nullification of federal laws against marijuana. Numerous counties in nine states have already declared themselves to be Second Amendment Sanctuaries, including 35 out of Colorado's 64 counties; 62 out of Illinois' 102 counties; 30 out of 33 of New Mexico's counties; 52 out of New York's 62 counties opposing that state's SAFE Act; and 24 out of Washington's 39 counties. And 35 states, according to the National Conference of State Legislatures, "have approved ...publicly available medical marijuana/cannabis programs." 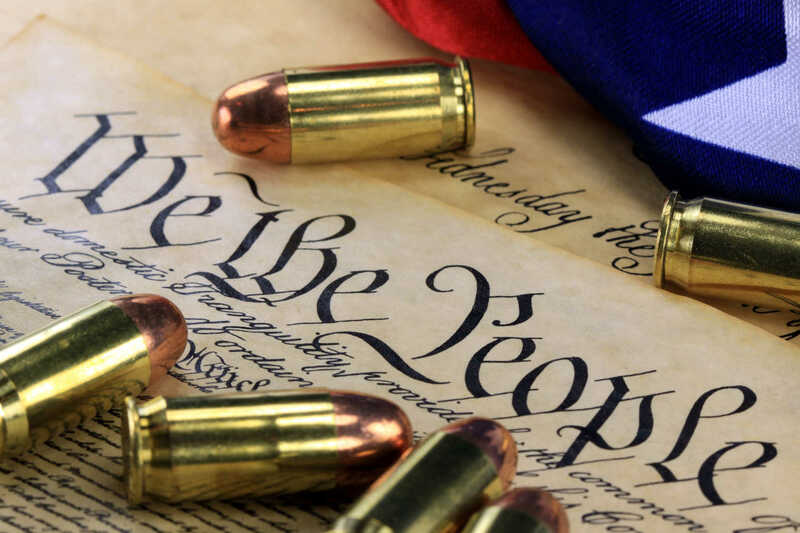 The fact that the language in Missouri's bill is broad enough to include the NFA, the GCA, red-flag laws, and bump stock bans gives great encouragement to those in the freedom fight, such as members of the John Birch Society (who have been working to expose their unconstitutionality for years), who have seen federal encroachments whittle away precious rights inch by inch. The New American will keep readers informed as the bill moves through Missouri's legislative process.